Redevelopment Agencies Hurt California More Than They Help? Used to be whenever we had a bad economy we’d simply create jobs by borrowing money to upgrade and expand our cities. All this borrowing once helped drive urban sprawl, once helped give a sense of intelligent design to fast growing towns. But can we continue to borrow and build more and more bigger better infrastructure indefinitely? Most Americans have learned this the hard way as homeowners who can no longer borrow against the skyrocketing value of their homes. We’re all now finally in a position where we have to hunker down and make do with what we have. Likewise isn’t it time that local governments do the same? We can no longer afford to tear down huge chunks of our still functioning built environment to make it better, can we? It’s now time to try to live more simply within the construct of the infrastructure we currently have, right? This mean repairing instead of replacing. This means patching roads instead of widening and paving them. This means protecting the environment by eliminating the way that redevelopment agencies make “improvements,” which too often lead to urban deforestation and an increase in impervious surfaces, which in turn hurts streams and depletes precious groundwater resources. In short, redevelopment is no longer what it once was when we had lots of vacant land and soaring real estate values. Redevelopment agencies are no longer a viable way to improve local economies. 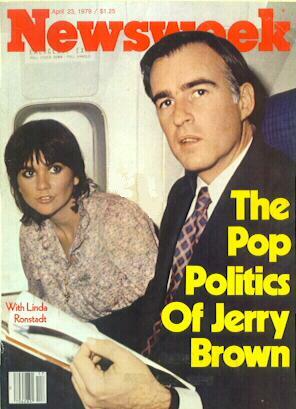 Or at least that’s what California’s new Governor Jerry Brown says. “I’ve been reading all those blog entries; they’re all riled up,” Brown said at the outset. 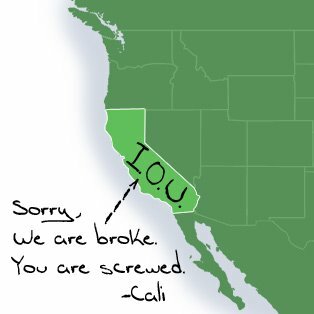 This entry was posted in Traditions We've Outgrown, West Coast Economics. Bookmark the permalink.